The type of food you eat plays a very important role in determining how your body responds to it. 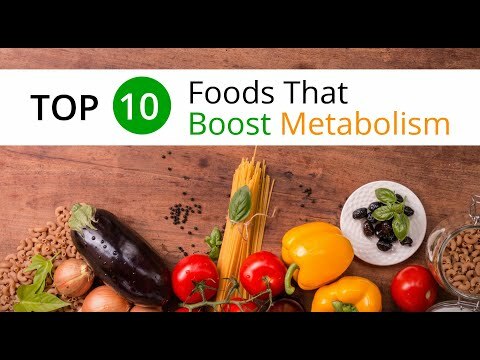 Here is a list of the top 10 foods that will help boost your metabolism and keep you active and healthy. Citrus fruits like lemons, oranges, sweet limes or grapefruits help to burn fat in the body. Their high levels of Vitamin C also keep your Insulin levels in check. Berries have high levels of dietary fiber. Though these cannot be digested, the body still attempts to do so, and burns a lot of calories in the process. Apples and pears have extremely low calorie content and it has also been proven that those who do eat apples are likely to have a speedier and more consistent weight loss journey than those who do not. Cereals take longer to digest due to their high fiber content, which makes you feel full and energized for hours after you’ve consumed them. Fiber in cereals also helps maintain healthy insulin levels, preventing fat storage. Red hot spicy foods contain a compound called capsaicin that stimulates pain receptors and causes increased blood circulation. Hence, consuming spicy foods like chillies and peppers will not only make you sweat, but also burn fat at a quicker rate. Broccoli has high levels of Vitamin C and Calcium that together help to burn calories quicker and more effectively. It thus activates your metabolism and keeps you fitter and more mobile. Adding garlic to your food on a daily basis, even small amounts will help decrease the production of fat, while increasing the number of calories burnt in the day. It will also boost your immunity, help fight diseases, and keep you looking younger over the years. It takes the body a lot of energy to digest proteins. Therefore, consuming foods that have high protein levels will burn down fat and help the body hold on to its muscle mass. Eggs and chicken would be the best examples of protein-rich foods. If you want to burn fat and lose weight, it is important to consume foods that are rich in calcium. Consuming milk and other dairy products will help lose more weight than consuming other types of food would. Caffeine present in coffee helps burn more fat and reduces signs of cellulite. It is said to give more energy and result in better workout performance. On the whole, it improves the capability of the body to burn calories and stay energetic throughout the day. Along with eating right, it is also important to exercise well in order to enable the body’s metabolism to work and carry out weight control effectively. So don’t forget to include these 10 foods in your daily diet to experience a boost in your metabolism and see the results as your body grows fitter and stronger every day. Need to lose weight and increase metabolism then these top 10 foods by WeBeingFit is just for you. Just include these foods in your diet and you will see the change as you grow stronger and healthier.